This San Fernando Valley bakery and caf which recently had nearly $700,000 invested in its build out, is in a prime main-street location and is a perfect fit for its community that is filled with coffee lovers, artists, musicians and others related to the entertainment industry. The avant-garde facility boasts a custom kitchen designed for specialty baked goods as well as a coffee bar that will impress any coffee aficionado. The business offers a variety of entertainment options that include musicians, comedians, open mic, magicians, poetry readings and much more, as well as a comfortable environment for customers to relax, study, surf the web (free wi-fi), or just socialize with friends and family. Location and Facilities: The business is located in a 2,500 square foot facility that leases for $5,000 per month on a lease that provides coverage until 2020. Common area maintenance expenses are billed quarterly at approximately $2,500 per quarter. 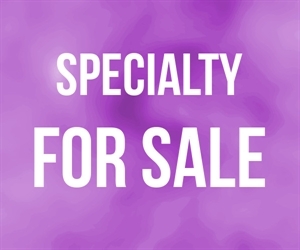 The sale includes all of the business assets such as the furniture, fixtures, kitchen equipment, small wares, name, menu, and other intangible value. The sale also includes inventory valued at $1,000. Market Information and Position: This cafe has excellent growth potential. Although the business is fairly new, monthly sales already exceed $60,000+. The community has whole heartedly embraced this as a new neighborhood favorite. What s more, the location has repeatedly been solicited to act as a filming site. Thus far, the owner has not yet aggressively advertised, nor begun to market catering services to neighboring businesses, studios and other potential customers. Competition is considered to be medium as there are a number of other coffee shops and bakeries in the area, however none include the comprehensive niche food, coffee, entertainment or social offering that this business provides, as well as this unique offering s prime main-street location, which truly sets it apart from the rest.